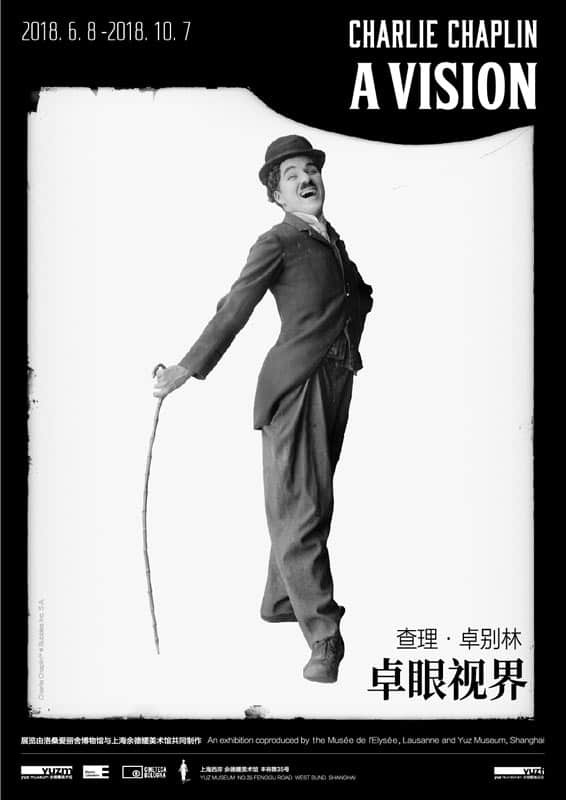 (May 2018, Shanghai) Yuz Museum recently announced that they would bring a major retrospective exhibition of the King of Comedy, Charlie Chaplin, to China, co-produced by the Musée de l’Elysée, Lausanne and Yuz Museum, Shanghai. Charlie Chaplin is the founder of modern comedy, one of the most influential performing artists and film directors of the 20th century. His comical image with a bowler hat, bamboo cane, and a small mustache is well known and deeply rooted worldwide. The recipient of a Special Oscar in 1928 for The Circus and an Academy Honorary Award in 1972, Chaplin made an immeasurable contribution to the development of film in the 20th century. He himself was a famous pacifist and social activist. The Charles Chaplin photographic archive was entrusted to the Musée de l’Elysée in January 2011 by the Chaplin Association and Roy Export SAS. Some 20,000 negatives, prints and original albums cover 60 years of the professional and private life of the filmmaker. The collection includes production and set stills, as well as travel albums and portraits by well-known photographers such as James Abbe, Edward Steichen, and Richard Avedon. The Musée de l’Elysée benefited from the collaboration of Fondazione Cineteca di Bologna which digitized and made available Chaplin photographic and paper archive. In October 2015, at the invitation of Mrs. Tatyana Franck, director of the Musée de l’Elysée, Mr. Budi Tek, founder of Yuz Museum, attended a seminar in Lausanne, Switzerland. When visiting the Collections’space of the Musée de l’Elysée, Mr. Budi Tek found the curators studying precious original photographs of Chaplin and doing restoration work. The collection testifies as much to the evolution of Chaplin’s famous tramp, a mischievous dandy but a great charmer, at the beginning of his career, as to the artist at work. Some photos also show that Chaplin visited China and Bali, which coincides with Mr. Budi Tek’s background. 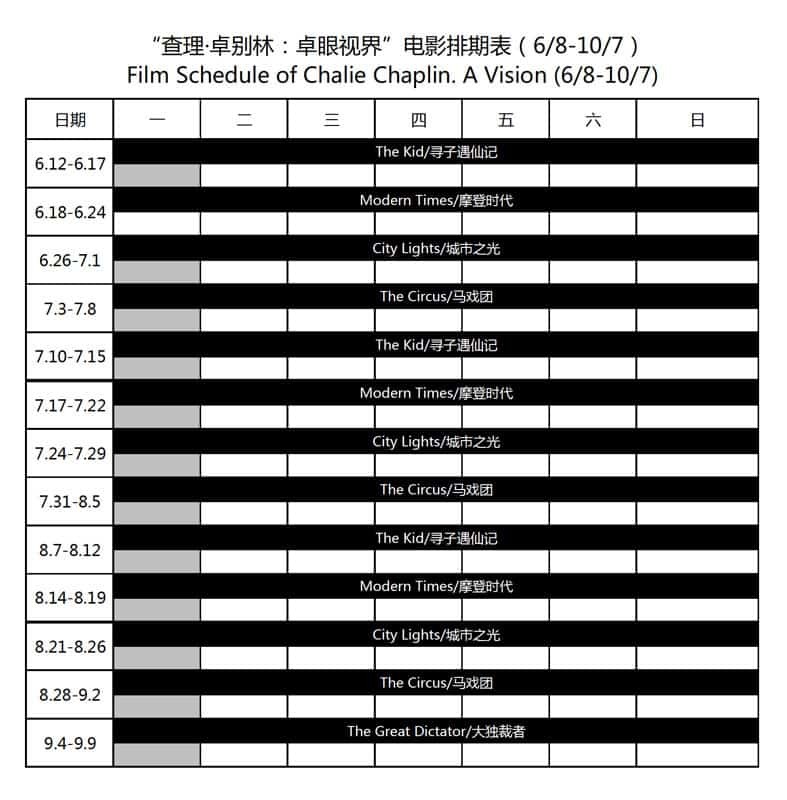 Charlie Chaplin is beloved to Chinese audiences. Recalling this comedy master through his photographic archive and related contemporary artworks, Mr. Budi Tek believes it will enable the audience to have a better understanding of why the characters Chaplin created transcend time and become classics. His remarkable vision of cinematic art and his open-minded spirit of exploration still have far-reaching impact and enlightening significance even today. The Yuz Museum team immediately decided to collaborate with the Musée de l’Elysée and started preparations for the exhibition. “Charlie Chaplin. A Vision” is a major exhibition proposed by the Musée de l’Elysée and co-produced by the Yuz Museum, Shanghai. Presented in chronological order, its aim is to help us better understand the modernity of Charles Chaplin and of his timeless character by shedding a new light on their deep humanism. Who was Charles Chaplin? What had he seen of this world and how did it influence his art? What was he trying to transmit to us? How did the world and especially the artists of his time perceive the man and the tramp? How is he perceived by modern artists? The exhibition explores the reasons for his success, those that brought about and nourished his critical fortunes, and measures the role that the photographic image played in the prosperity of the legend. In November 2017, Tatyana Franck, director of the Musée de l’Elysée was invited to attend the 2017 Yuz Museum Benefit Gala Dinner and released the exhibition plan of this collaboration between two museums. By taking a shot/countershot approach to his life and career, and by revealing the secrets of his cinematic language, the exhibition also attempts to re-evaluate Chaplin’s revolutionary artistic heritage. With over 300 photographs and documents from the Chaplin Archive and almost two hours of film clips, the exhibition also includes items from private collections and public institutions (original posters, videos, paintings, drawings, lithographs) that highlight the impact of the figure of Charles Chaplin on the production of international artists, from the avant-garde artists of the 1920s to today, such as Fernand Léger, Marc Chagall, Erwin Blumenfeld, Varvara Stepanova, Tony DeLap, C215 and Lita Cabellut. Conceived of as a major international project, the exhibition “Charlie Chaplin. A Vision” will first be presented at the Yuz Museum in Shanghai from June 8 to October 7, 2018, and should then be presented in Mexico City in November 2018. Two other venues are projected. The exhibition will be accompanied by a publication. “Charlie Chaplin. A Vision” is made possible by Yuz Museum and the Musée de l’Elysée with the support of Yuz Foundation. The exhibition would not be possible without the support of Roy Export and the Chaplin Estate. It was curated in collaboration with Fondazione Cineteca di Bologna. Charlie Chaplin was born on 16th April 1889 in London; he died on 25th December 1977 in Vevey, Switzerland. At only twenty years old he left for the United States with the music-hall troupe of Fred Karno, where he would be spotted by Mack Sennett, the director of the Keystone Film Company. His first short film, Making a Living, was in 1914. In his second film, Kid Auto Races at Venice, Chaplin appeared in the costume of the Tramp. Between 1914 and 1923, Chaplin produced over 70 short films. From 1925-1967, he completed eight more films. Beginning as an actor, Chaplin transformed quickly over the course of his career into a multifaceted artist involved in his work as a director, producer, actor, writer, and composer. The Musée de l’Elysée is one of the world’s leading museums entirely dedicated to photography. Since its establishment in 1985, it has improved public understanding of photography through innovative exhibitions, key publications, and engaging events. Recognised as a center of expertise in the field of conservation and enhancement of visual heritage, it holds a unique collection of more than 1 million phototypes and preserves several photographic archives, in particular, those of Ella Maillart, Nicolas Bouvier, Jan Groover, Sabine Weiss and René Burri. By supporting young photographers, offering new perspectives on the masters and confronting photography with other art forms, the Musée de l’Elysée experiments with the image. Based in Switzerland, it presents four major exhibitions in Lausanne each year and an average of fifteen in prestigious museums and festivals around the world. Regional by character and international in scope, it seeks to constantly develop new and exciting ways to interact with audiences and collaborate with other institutions. Cineteca di Bologna is an internationally recognized film archive with a multi-faceted mission ranging from film preservation and dissemination, training, research, and publishing. Its annual festival Il Cinema Ritrovato is one of the most awaited venues for film historians, scholars and cinephiles all over the world. Over the last 20 years, Cineteca’s laboratory, L’Immagine Ritrovata, has grown to be one of the leading centers for film restoration, working in partnership with entities such as the Academy Film Archive, Martin Scorsese’s The Film Foundation, Pathé, Gaumont, Sony, Institut Lumière – just to name a few – and completing over 800 restorations, including masterpieces by Pasolini, Renoir, Fellini, Visconti, De Sica, Leone, Rossellini, Vigo, Keaton. In the late 1990s, thanks to its collaboration with Roy Export/Association Chaplin, Cineteca launched the “Chaplin Project” which led to the restoration of Charlie Chaplin’s entire body of films, 80 titles overall. Yuz Museum Shanghai, officially opened in May 2014, is a contemporary art museum founded by Mr. Budi Tek, a Chinese-Indonesian entrepreneur, philanthropist, and collector. The museum is located in the core area of West Bund Shanghai, and plays an important role in “West Bund Culture Corridor”. Yuz Museum is committed to drawing the world’s attention to Shanghai, advancing the development of contemporary Chinese art, actively in the field of art education, and promoting cultural dialogues between the East and the West. As a non-profit institution, Yuz Museum aims to establish itself as a new landmark for exhibiting contemporary Chinese art and to be a preeminent contemporary art museum in the world. Designed by acclaimed Japanese Architect, Sou Fujimoto, the museum was renovated from an old aircraft hangar site of the former Shanghai Aircraft Manufacturing Factory. The museum has a total area of 9,000 square meters, among which the hangar-converted great hall alone covers over 3,000 square meters, complementing the numerous large-scale art installations, while the other galleries offer more than 1,000 square meters for paintings, sculptures, and photography of contemporary art. Budi Tek is a Chinese-Indonesian entrepreneur, philanthropist, collector and founder of Yuz Museum and Yuz Foundation. He was once a member of Tate Asia Pacific Acquisition Committee, and he was awarded Officer of the Legion of Honor by the French government in 2017. Budi Tek established Yuz Foundation in 2007, which the foundation dedicates itself mainly to Chinese and other international contemporary art. It aims to popularize contemporary art through its ideas, collections, museums, sponsorship and academic projects. In 2008, Yuz Foundation established the first private museum in Jakarta, Indonesia. In 2014, Yuz Museum formally settled in West Bund, Xuhui District, Shanghai, under the umbrella of Yuz Foundation. Budi Tek was born in Pamelang, Indonesia, and grew up in Singapore. He then returned to Jakarta and became a successful entrepreneur specializing in agriculture and food industry. In 2004, he became obsessed with the contemporary art and began to research for the art collection. Budi Tek built up his Yuz Collection over a decade, and as a top Asian collector, he spans his collection to contemporary art from the East and the West. His Chinese contemporary is regarded as one of the most significant collection internationally, predominantly from the period of the early 1980s to the late 1990s. The Yuz Collection of western contemporary art ranges from mega size installations to German post-war paintings to young artists’ NEW ART. For Budi Tek, art is a sensory experience that is more important than the object itself. He generously exhibits and often lends his collection to other accredited art institutions in order to create an understanding of Chinese contemporary art worldwide. Budi Tek has been granted many honors in the field of contemporary art: he was elected “10 Most Influential Art Figures” by Art+Auction Magazine in 2011, and “The Power 100” of 2012 and 2013 by Art Review, “100 Most Influential Art Figures” by Artnet in 2015, etc.